Mobilis CrossFit has two locations throughout Amsterdam that offer group workouts and private training for all fitness levels and goals. Come in and join our community of like-minded people to support you in your fitness journey. Each of our gyms have full service locker rooms and bathrooms, which makes them perfect for locals as well as busy business professionals to train and then get on their way. Mobilis CrossFit is a proud member of the Mobilis family. 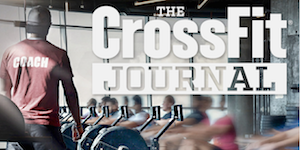 On January 1st 2012 Mobilis CrossFit opened its doors in Amsterdam Buitenveldert. We started as a small community born out of enthusiasm but soon we outgrew our potential. In 2016 we’ve opened a second affiliate in Amsterdam Oost (location Amstel). If you train at Mobilis CrossFit, you will be trained by the best trainers in the field and be guided by the best specialists. Our head coach is a CrossFit Seminar Staff Trainer. Other specialities we have are Olympic weightlifting, Gymnastic, Medical & Nutrition specialists. We are here to improve your overall fitness on every level. Curious and just want to know more about us? Leave us a message at info@mobiliscrossfit.nl.